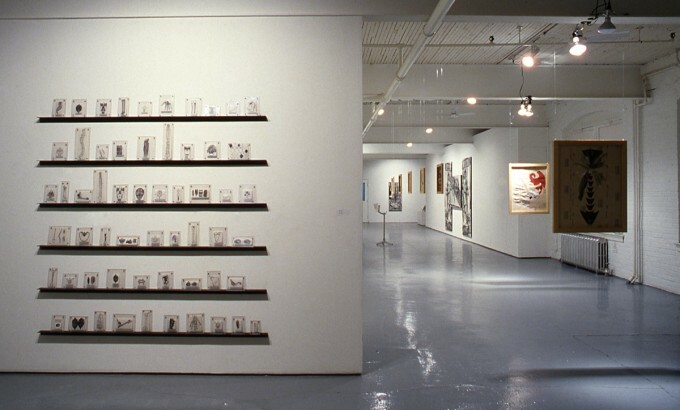 Mercer Union Presents an exhibition of selected works by six artists from across Canada: Yaron Berent, Suzanne Gauthier, Donald Lawrence, Doborah Margo, Ross Racine, and Curtis Wehrfritz. 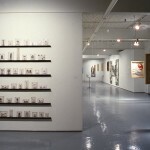 Selected Works continues in both Mercer Union’s East and West Galleries through Saturday June 17. 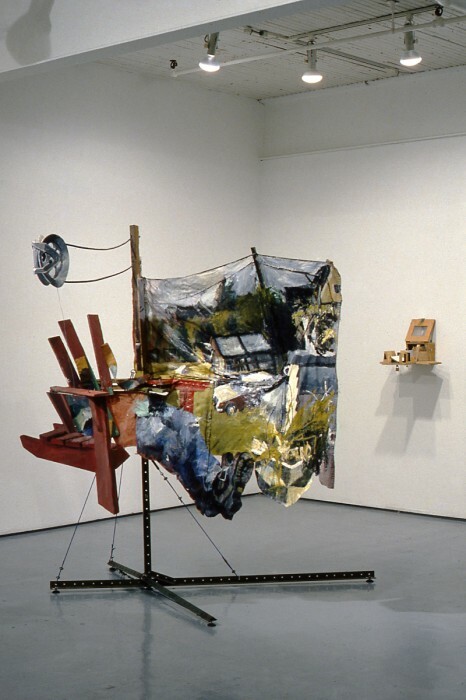 Although working in a variety of media, all six artists share a concern with probing inside a structure, material or phenomenon. 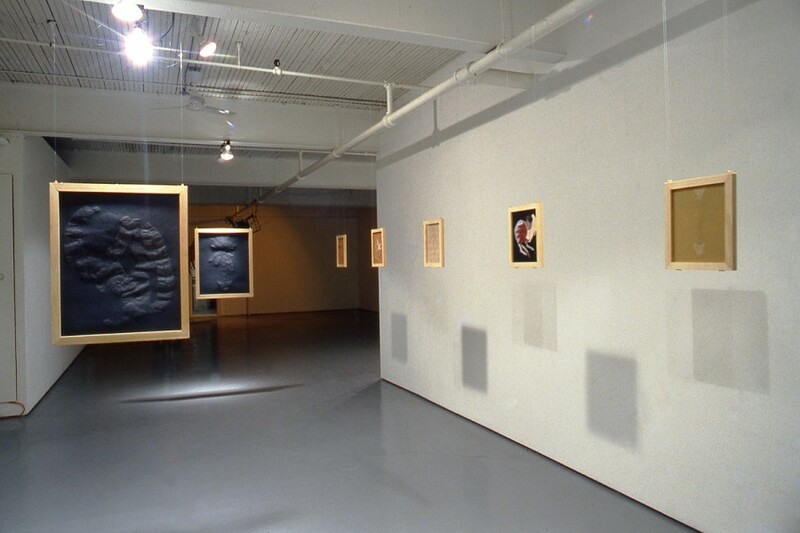 Montreal artist Suzanne Gauthier and Victoria artist Donald Lawrence both explore reconstructions of their own studio space. 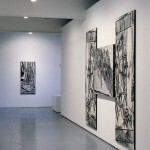 While Lawrence employed photography and illusionistic devices in his constructions, Gauthier incorporates photographic enlargements of installations in her mixed-media works, combining these images with encaustic and graphite on wood. The painting of domestic interiors by Montreal artist Ross Racine combine colour overlays with architectural rendering to convey the intimate atmosphere of a private and personal space. 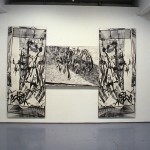 Deborad Margo and Yaron Berent use the drawing surface as a film for exposing what is otherwise intangible or invisible. 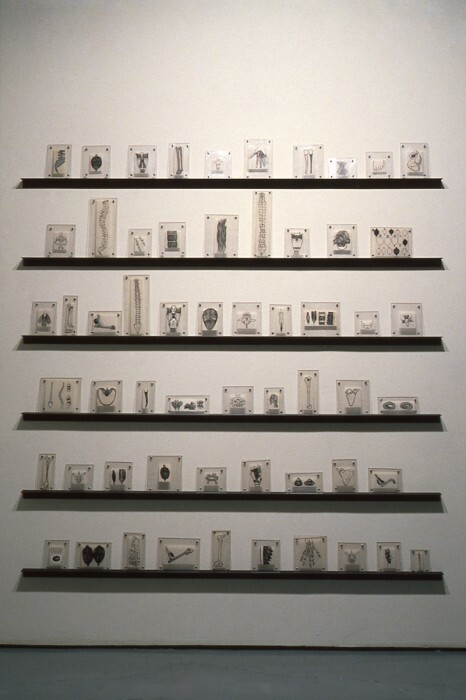 Small anatomical drawings on vellum in plexis-glass mounted on a series of steel shelves comprise her piece Os e Musculus. 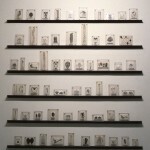 Using various techniques of drawing and perforating industrial sandpaper, Yaron Berent presents motifs of mythic animals in a complex relationship of projections and recurrences. In Bliss, Toronto artist Curtis Wehrfritz analyses the images that come through his living-room television, separating hype from fact and fantasy from history. 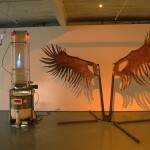 His piece incorporates an electrically modified 1960’s washing machine and a video monitor carrying imagery of a third stage rocket climbing into orbit. 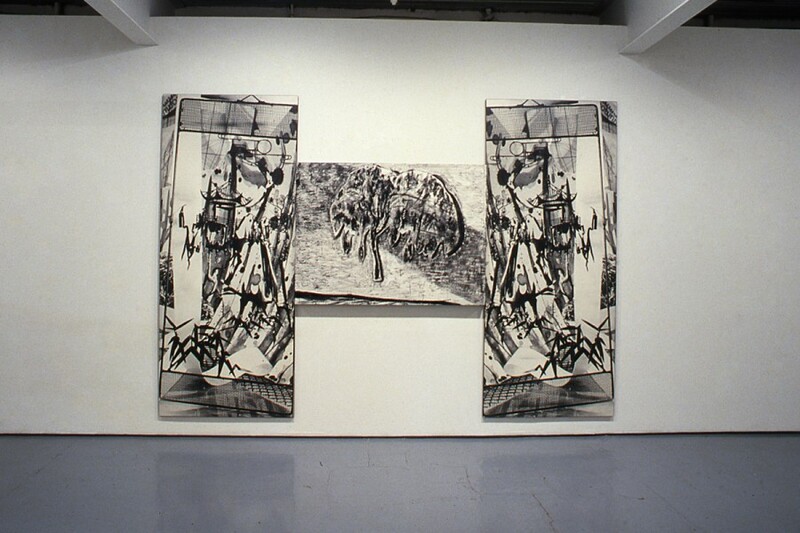 Yaron Berent was born in Tel-Aviv, Isreal, in 1955 and has lived in Geneva, Switzerland for the past twelve years where he has continued to exhibit. 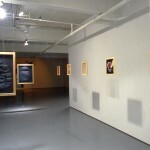 Currently residing in Montreal, his work was presented in a solo exhibition last spring at Oboro. 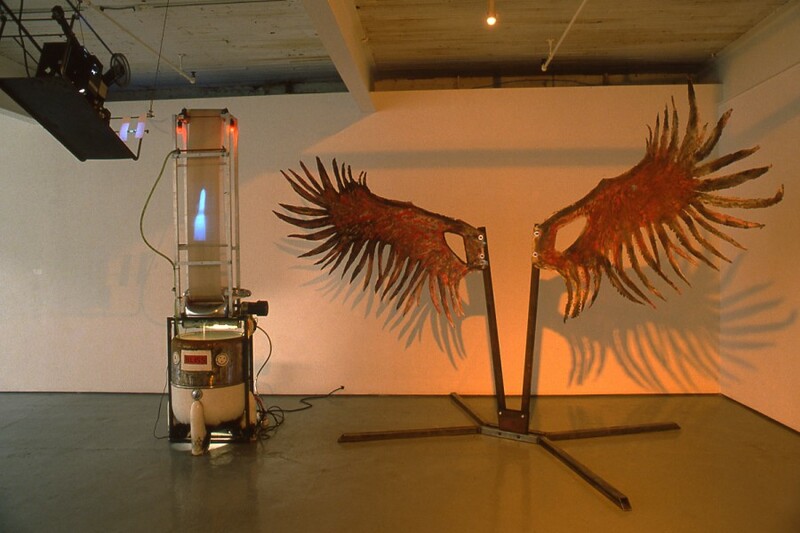 Suzanne Gauthier was born in Lorette, Manitobia in 1948, and currently resides in Montreal. In 1969, she received her Honors BFA from the University of Manitoba. 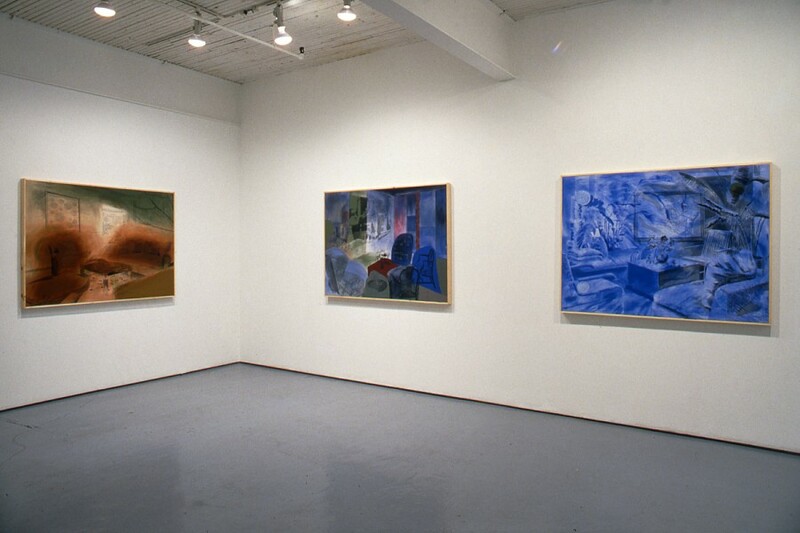 Gauthier has participated in solo and group exhibitions since 1974 in Winnipeg, Montreal, Edmonton, Vancouver, Toronto, as well as in Italy and France. Born in 1963 in Calgary, Donald Lawrence received his BFA from the University of Victoria is 1986 and his MFA from York University in 1988. 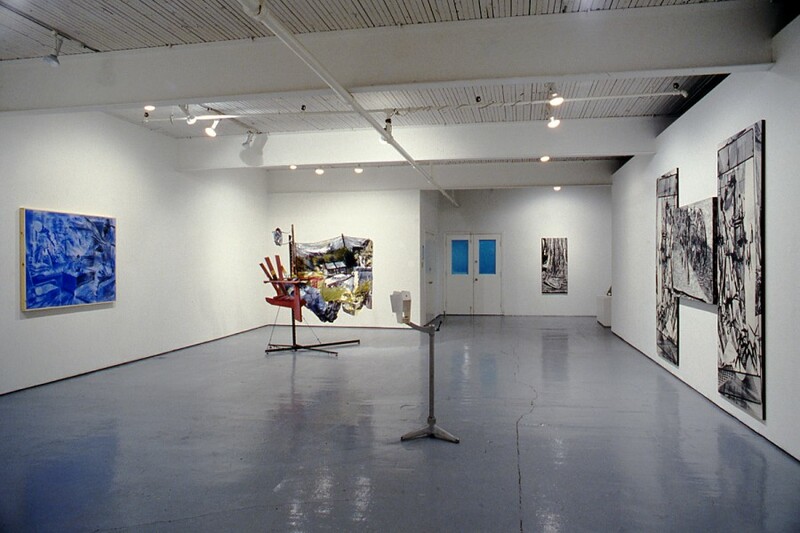 Since 1981, Lawrence has participated in solo and group exhibitions predominantly in Victoria, as well as in Toronto, Vancouver, Montreal, and Ottawa. Deborah Margo was born in Montreal in 1961, and received her BFA from Concordia University in 1984. 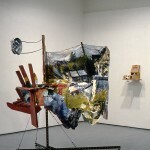 She has participated in group exhibitions in Montreal, Banff, Hamilton, and Toronto with solo exhibitions at Articule in Montreal, 1989, and Axe Neo-7 in Hull, Quebec in 1988. Born in Montreal in 1952, Ross Racine completed his BFA at the Universite du Quebec in 1976 and his MFA at Concordia in Montreal in 1984. 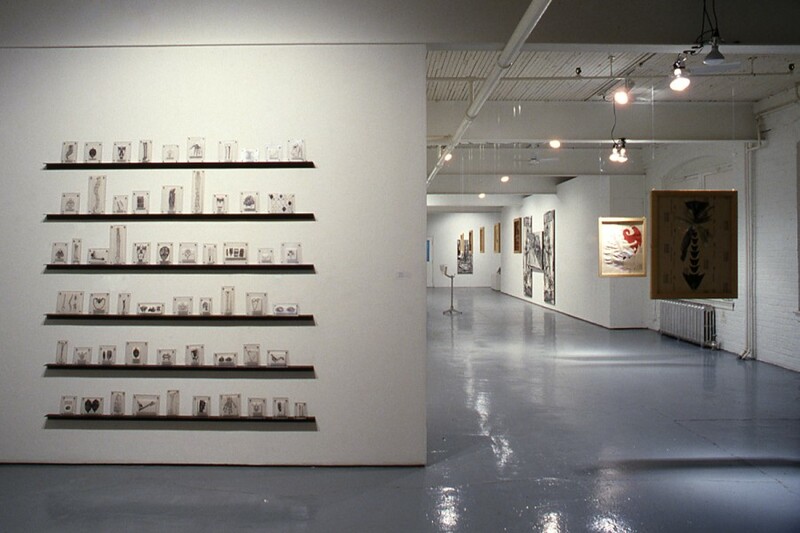 Since 1980 his work has been included in group and solo exhibitions in Montreal, Toronto, Regina, and Hamilton. 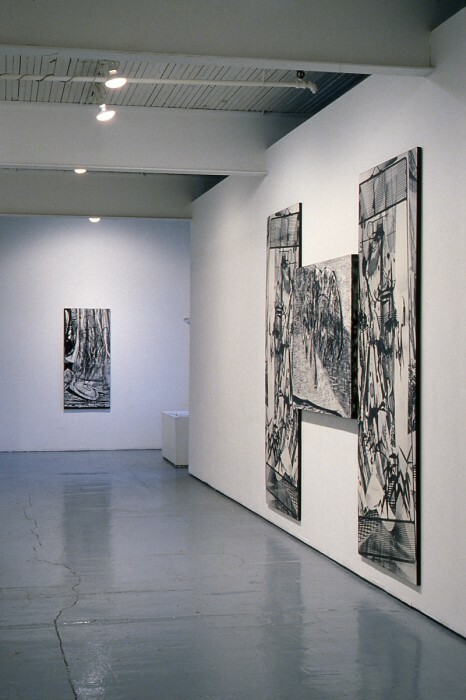 Toronto artist Curtis Wehrfritz graduated from the Ontario College of Art in 1986, and is presently working working as the art curator for Gallery 76. 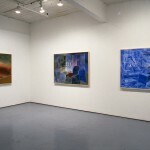 His exhibitions include Mossop, Wherfritz, Keir and Cutajar, 1985, and Snake, Rain Feed, Bucket, Drum, 1986, at Gallery 76, and Coarse Language, 1987, an audio art exhibit with 10 Toronto sound artists. Mercer Union is located at 333 Adelaide Street West, 5th floor, one block north of King St., east of Spadina. 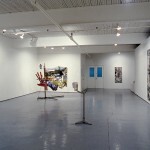 The gallery is open to the public Tuesday through Saturday 11am to 6pm. Admission is free.